Facing criminal charges can be a terrifying experience. Being arrested and taken to jail, facing police questioning and the prospect of going before a judge are things most of us have only seen on television and can't imagine going through ourselves. When it happens to you, you need sound legal counsel from a dedicated Minnesota criminal attorney. Even more importantly, you need someone who will speak to you in plain English and tell you exactly what you face and what you need to do about it. I have practiced criminal law for more than 25 years, first as a prosecutor and for the past 20 years as a defense attorney. Representing people who have been charged with a crime is all I do. I have seen it all and I know what kind of defense you need, whether you are facing serious criminal charges, a traffic violation or the repercussions of a probation violation. I spend my free time, when I have any, chasing aggressive fish. I spend my courtroom time aggressively defending my clients' rights and protecting their freedom. The Law Offices of Dennis M. Lothspeich, P.A. is a great place to start when you find yourself in trouble with the law in the Brainerd Lakes area. I have a well-earned reputation as an experienced and fearless litigator. Unlike some attorneys who will steer you toward a guilty plea, I am known to leave prosecutors few choices besides negotiating a plea or dropping charges against my clients. You don't want to go to prison. I don't want that either. I guarantee you personal attention and immediate response to your calls. I am BV® DistinguishedTM Peer Review Rated by Martindale-Hubbell®, an indication that I meet high criteria for legal abilities and general ethical standards. I accept collect calls from jails and correctional facilities in Crow Wing and nearby counties and can arrange an immediate visit with you onsite. 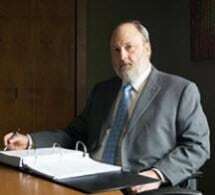 Call me, Attorney Dennis M. Lothspeich, at 218.825.0861 for a free initial consultation, or contact the Law Offices of Dennis M. Lothspeich, P.A. online. I charge a reasonable flat fee, which is set up front. In some cases, my fee can be comfortably spread out into monthly payments during the duration of your case. My office is conveniently located near the Crow Wing County Court House. I am happy to schedule an evening or weekend appointment if needed.